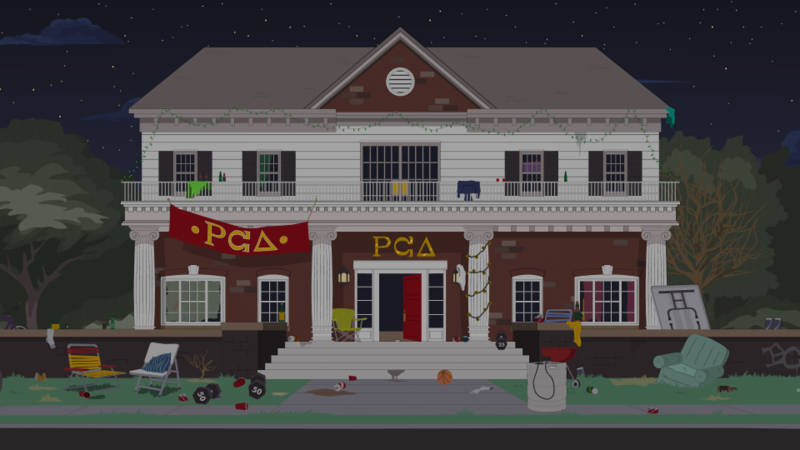 PC Delta was first introduced in the episode, "Stunning and Brave" and serves as the home base for the PC fraternity throughout the 19th season. Most of the PC bros are live-in residents including, PC Principal and Topher. They love nothing more than beer, working out, and that feeling you get when you rhetorically defend a marginalized community from systems of oppression. Randy Marsh immediately becomes a pledge in the fraternity after failing to get them to turn the noise down at one of their parties. The fraternity was attacked by Cartman in “Stunning and Brave” when he used an onslaught of pregnant Mexican women, tacos, Syrian refugee children and most frighteningly of all, Jared.